Can You Use AirPlay on Windows? AirPlay is Apple's technology for wireless media streaming and it lets your computer or iOS device send music, photos, podcasts, and videos to other devices in your house or office. For instance, if you want to stream music from an iPhone X to a Wi-Fi speaker, you use AirPlay. Same for mirroring your Mac's screen to an HDTV. But some of Apple's best features only work with the company's own products (there's no FaceTime on Windows, for instance), which may leave PC owners wondering: can you use AirPlay on Windows? Here's the good news: Yes, you can use AirPlay on Windows. Just make sure you have at least two AirPlay-compatible devices (one needs to be the computer or iOS device) on the same Wi-Fi network and you're good to go. To use some advanced Airplay features, you'll need to get extra software. Read on to learn all about your options for using AirPlay on Windows. AirPlay Streaming From iTunes on Windows? Yes. There are two different parts of AirPlay: streaming and mirroring. Streaming is the basic AirPlay functionality of sending music from your computer or iPhone to a Wi-Fi-connected speaker. Mirroring uses AirPlay to display everything on your device's screen on another device, such as a TV. Basic AirPlay audio streaming comes built into the Windows version of iTunes. 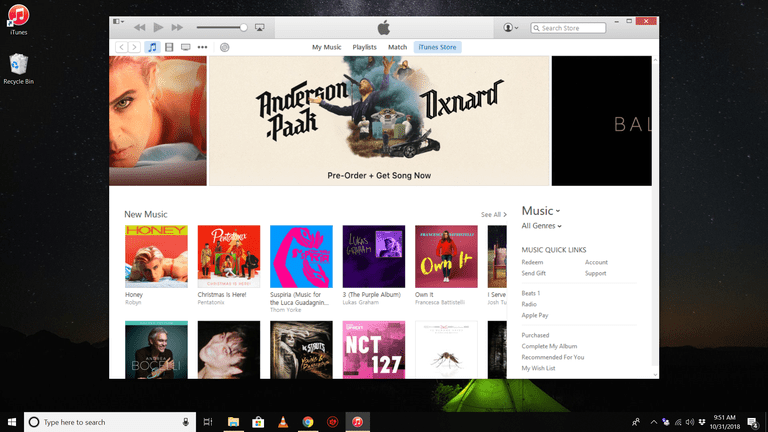 Just install iTunes on your PC, connect the computer to the same Wi-Fi network that a speaker is connected to, and you're ready to stream music to compatible audio devices. Streaming Any Media Over AirPlay on Windows? Yes, With Extra Software. One of the features of AirPlay that Apple only supports on Macs is the ability to stream content other than music to AirPlay devices. With that feature, you can stream media from virtually any program – even ones that don't support AirPlay – because AirPlay is embedded in the macOS operating system. For example, if you're running the desktop version of a streaming music app that doesn't support AirPlay, you can use AirPlay built into the macOS to send music to your wireless speakers. AirPlay Mirroring on Windows? Yes, With Extra Software. AirPlay Receiver on Windows? Yes, With Extra Software. Another Mac-only feature of AirPlay is the ability for computers to receive AirPlay streams, not just send them. Some Macs running recent versions of macOS X can function like speakers or an Apple TV. Just send audio or video from an iPhone or iPad to that Mac and it can play the content. Shairport4w. An open-source project available as a free download. Learn more about downloading and using it.